This project was made with cardboard as the single limited resource. I focused on how to bring out the natural characteristics of cardboard. Despite being cheap and lightweight, it has a unique wavy pattern in between the layers. The idea was inspired by Alan Turing’s hypothesis regarding animals’ patterns and how they are created by “waves” of chemical reactions. 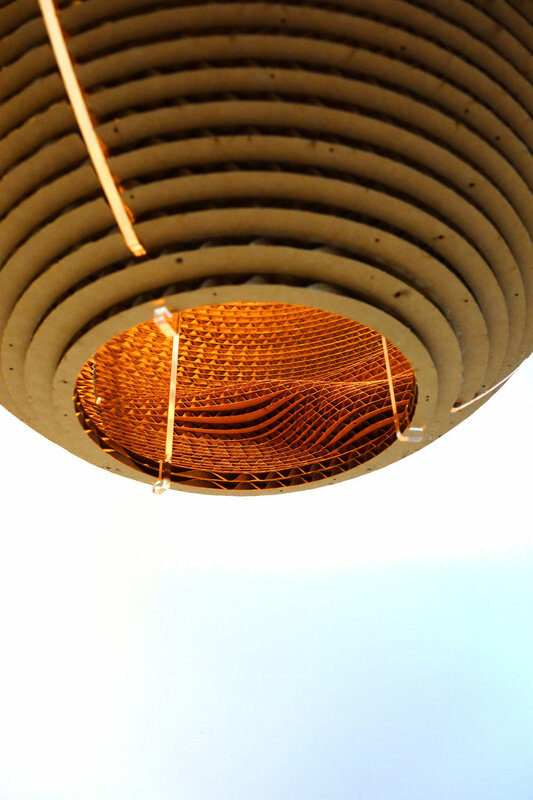 The lampshade has a special wavy pattern inside and the light shows how deep each layer is. 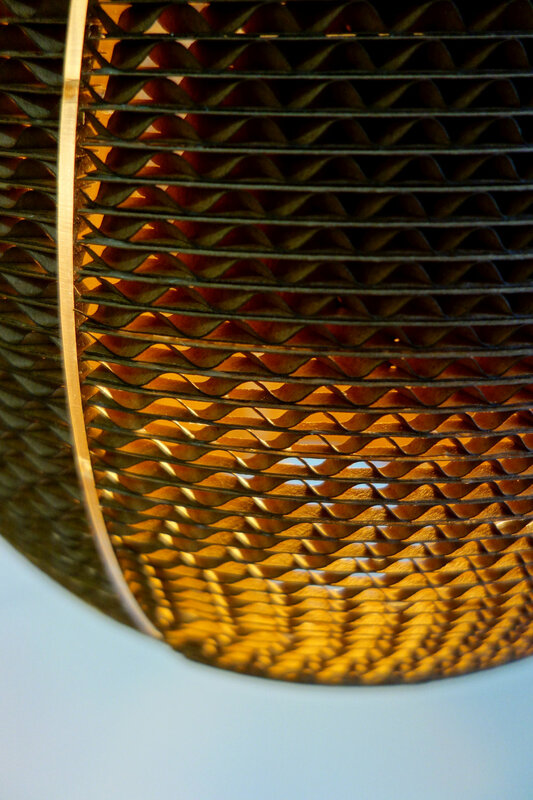 The light shifts along with your movement, creating a complex visual illusion.